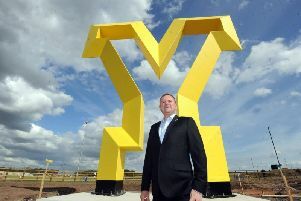 Gary Verity, chief executive of Welcome to Yorkshire. A NEW £1m marketing campaign to sell Yorkshire to American and European tourists was unveiled today. Funding from the government and commercial partners will finance the campaign, which will target holidaymakers in the US, France, Australia, Germany and the Netherlands as well as the UK. The announcement was made at today’s Y16 tourism summit at the York Barbican, organised by the tourism body Welcome To Yorkshire.